Eastern Brother’s Island, checking in! Hello from Eastern and Western Brother’s Islands! 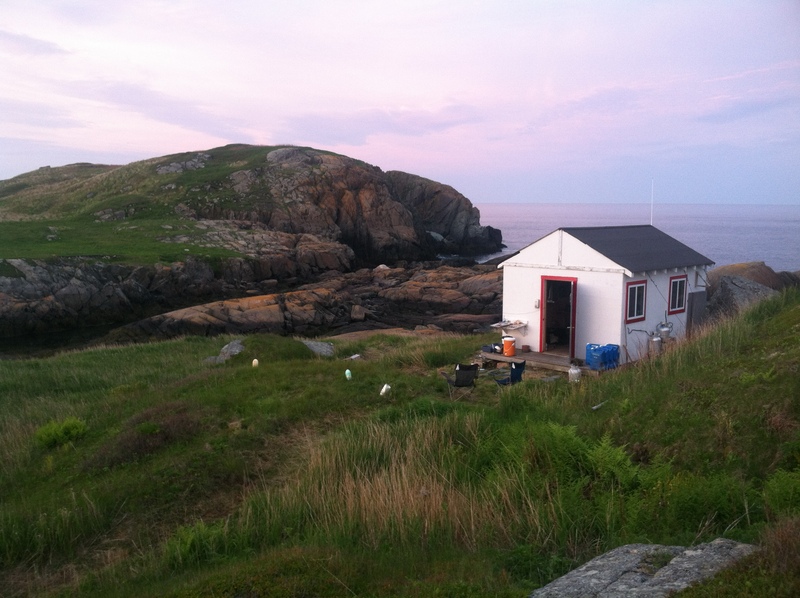 We are the northernmost seabird restoration island in the Refuge, and also one of the newest. 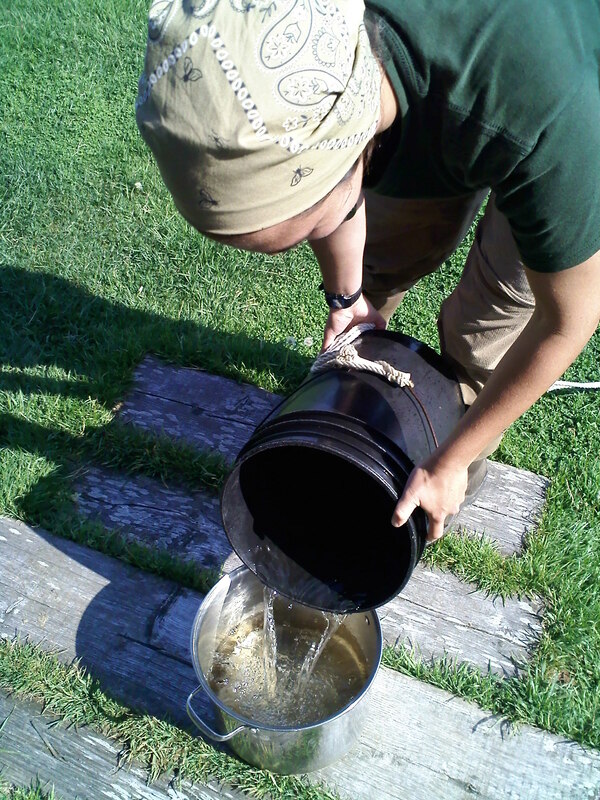 This summer will represent the sixth year of seabird restoration for the brother’s island and the crew (Julia and Sarah) are excited to be a part of it! Historically, this 17-acre island was home to nesting seabirds of all types including terns, gulls, alcids, sea ducks, and petrels. In recent years the island has been subject to heavy predation by gulls, hawks, and small mammals such as mink, and many of our seabirds are now gone. It is our hope that with a continued human presence on the island to monitor and deter predators we will once again be able to establish a thriving seabird colony. Through it all black guillemots, the most common alcid in the Gulf of Maine, have persisted here and continue to thrive on the 80 foot cliffs of Eastern Brother’s Island’s south shore. 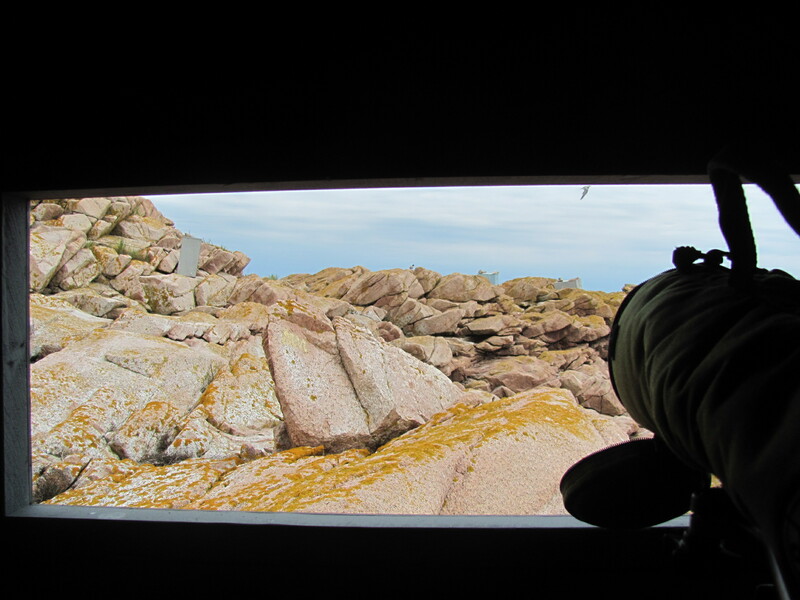 This year we have deployed alcid and tern decoys along the perimeter of the island to help attract seabirds searching for a new home. 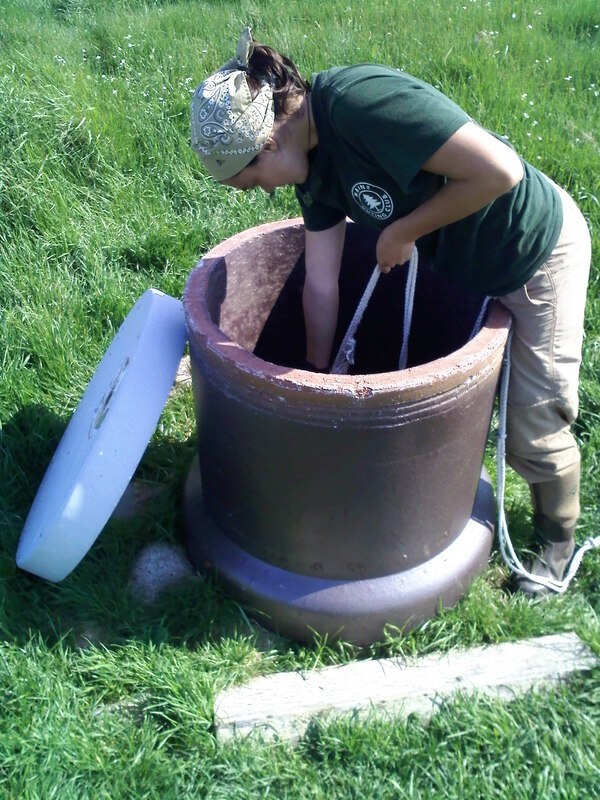 This method has been tried successfully on several other Maine restoration islands, but we have taken it a step further. In addition to the decoys we have set up two separate sound systems with speakers that play sounds from active colonies. This way, even when there is dense fog (like we have had the past few days!) birds flying within earshot are still attracted to the islands. Despite EBI’s seeming emptiness without terns, puffins, and razorbills, there is still lots of life to be found. The island hosts many different types of vegetation habitats and a variety of plants thrive here. Song and savannah sparrows make this their home and next door on WBI (where we also live) barn swallows, yellow warblers, and common yellow throats probably try to raise young. Sheep have been re-introduced to EBI to graze and are our constant companions as they are free to roam the island, lambs trailing behind. Creches (groups) of common eiders forage all around the islands and harbor seals bask in the sun on our rocks. As the season on Eastern and Western Brother’s Islands opens, we look forward to what lies ahead! Petit Manan is an island of just ten acres (although it can become up to 17 acres at the lowest neap tide). The island hosts nesting populations of three tern species (arctic, common and hopefully roseate), three alcid species (Atlantic puffin, black guillemot and razorbill), one sea duck species (common eider), one gull species (laughing gull), one passerine species (savannah sparrow) and one shorebird species (spotted sandpiper). With all of these avian inhabitants as well as four human researchers, certain adjustments must be made early in the season to accommodate all the wildlife. One of these adjustments is removal of excessive vegetation. The southern end of the island, over recent years, has slowly been losing nesting habitat due to the encroachment of vegetation. 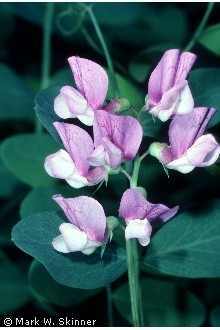 One of the major culprits of this loss is the plant beach-pea (Lathyrus japnicus). This native plant is common to the coastline from Maine to New Jersey. We are happy to have it as an island resident but its abundance in certain areas was having a detrimental effect on the tern nesting potential. A few days were spent removing beach pea from this area and as a result we expect to see an increase in nest sites in this area. 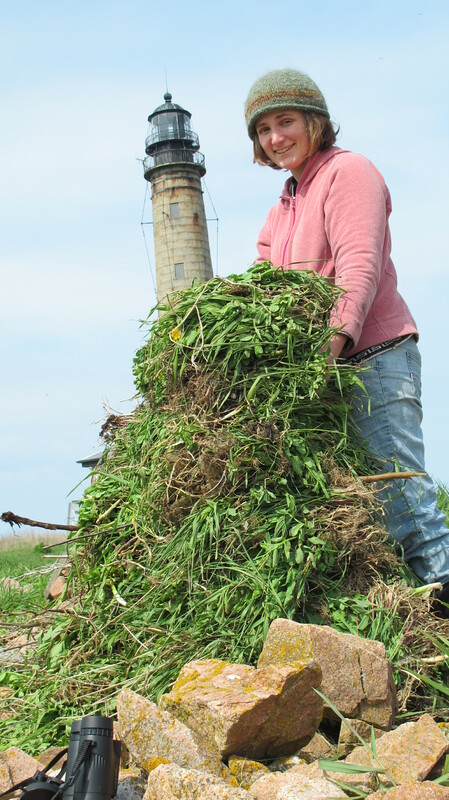 Jordan proudly displays the efforts of her weeding…that is a lot of new seabird habitat! So as you all tend to your flower and vegetable gardens, we will be weeding a garden of our own to make room for all the seabird nest sites. Happy Gardening! Allow me to introduce you to the worst enemy of the Ship Island Crew: garlic mustard. Although this may sound like a tasty addition to your next sandwich, we can’t wait to see the last of it here on Ship. 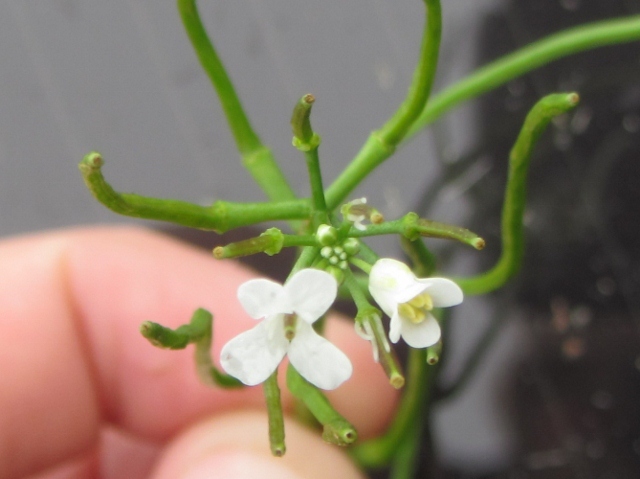 Garlic mustard, or Alliaria petiolata is a highly invasive plant species that has spread over several parts of the island and it is incredibly difficult to eliminate once it becomes established. On its own, a stalk of garlic mustard may look harmless, but don’t be fooled: this stuff is a pain! While the adult plant is easy enough to uproot, it is highly persistent in its other forms. 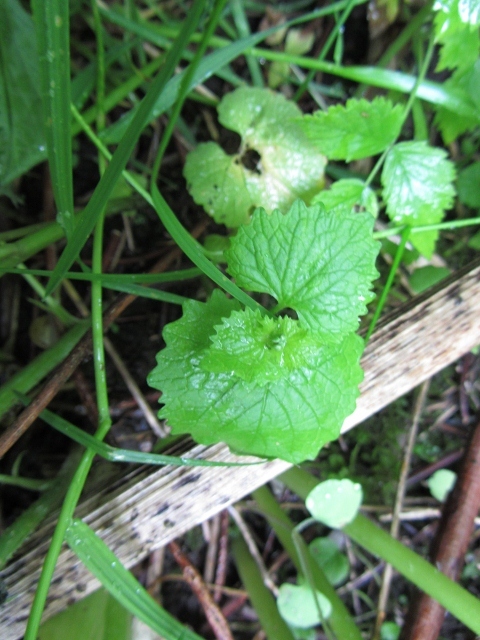 Garlic mustard is a biennial plant, which means it takes two years of growth before it flowers and produces seeds. The smaller first year plants can be difficult to find in all the other greenery of the island. Small single-leaf seedlings are even harder to spot. On top of that, seeds can stay dormant for years before sprouting, so even if we were to pull up every stalk of garlic mustard, we would still see more sprout up next year. So what are we doing about it? The Refuge has been working with Glen Mittelhauser , a private contractor, to determine effective measures for removing this invasive plant before it covers the island. To start with, we’ve been pulling up every flowering stalk we find. And there are A LOT of flowering stalks. See that picture below? 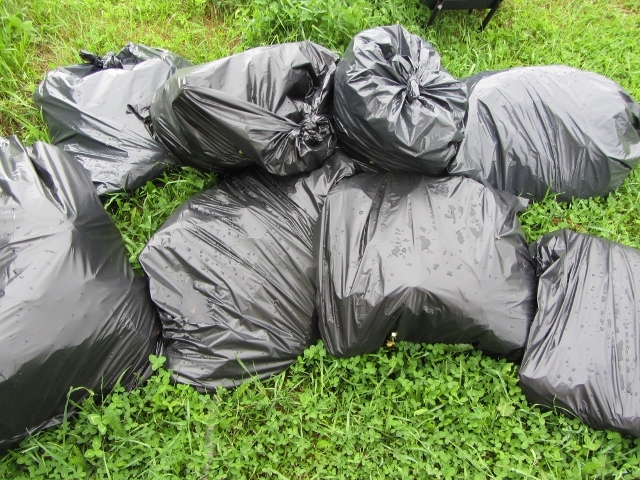 That’s about half of what we’ve pulled off of our 11-acre island so far. Next step is the application of one or more sprays to kill the seedlings and non-flowering stalks. 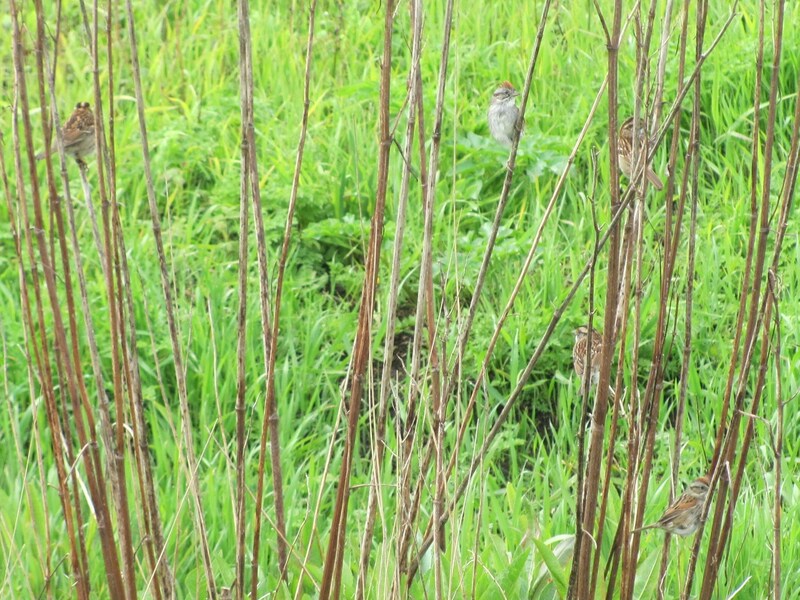 Since we’re so close to breeding birds, we’ve been trying to avoid the use of strong chemical herbicides. After studying results from some test plots set up on the island, Glenn has us using vinegar and seawater in areas where we’ve pulled up the flowering stalks. Hopefully, if keep this up over the years, we’ll be able to deplete the seeds that have been stored up in the soil and rid the island of this unpleasant plant. 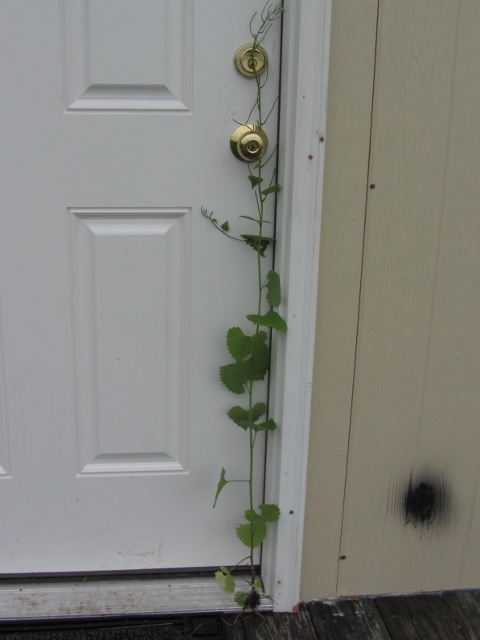 So why is it so important to get rid of garlic mustard anyway? One of the most important parts of our job out here on these islands is to maintain a habitat that is conducive to healthy seabird colonies. 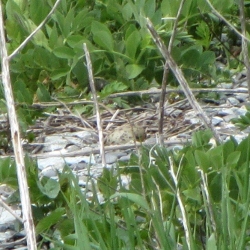 Terns nest in or near vegetation, and the presence of invasive species such as garlic mustard may reduce the amount of suitable nesting habitat. 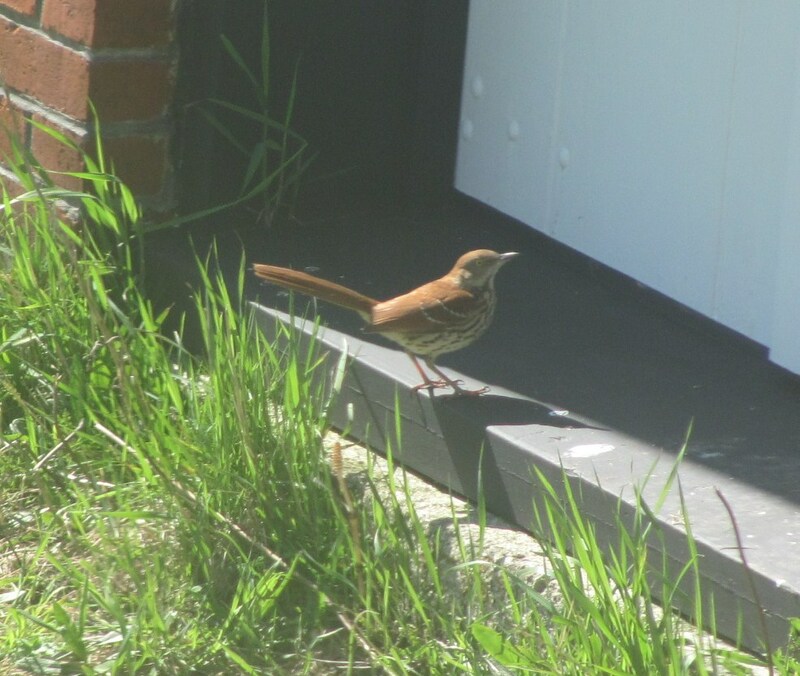 Additionally, terns aren’t the only birds breeding on Ship Island: we’ve also got Savannah Sparrows, Song Sparrows, Common Yellowthroats, and Yellow Warbler. All these birds depend on a finding a healthy habitat on Ship Island so they can successful raise their young. So wish us luck in fighting this mustardy menace! Arctic Tern Egg- First egg of the season! Good news! 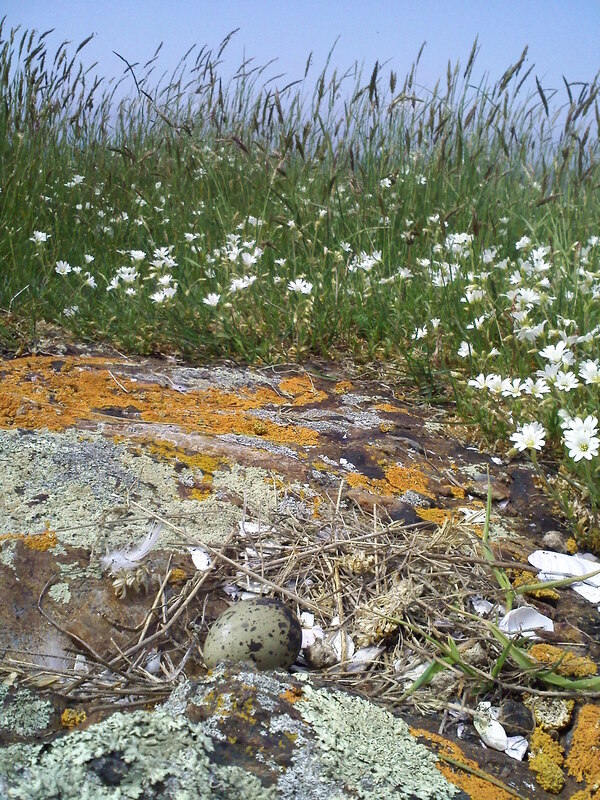 The first tern eggs of the season have arrived on Metinic Island. Soon all of the eggs will be laid and the incubation period will start. Terns usually lay from 2-4 eggs one at a time until they are all laid. Because the terns are colonial breeders it is advantageous to them to all lay their eggs around the same time. This reduces the chances of predation through the protection of sheer numbers. We are excited to see the first eggs because this means the busy season is on its way. 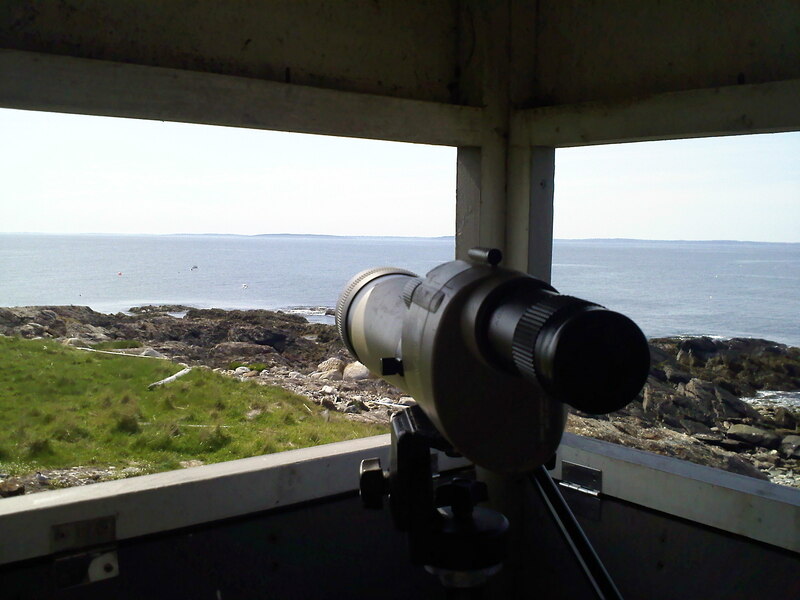 This past week we put together the three blinds on the island and have begun to record sightings of banded birds. 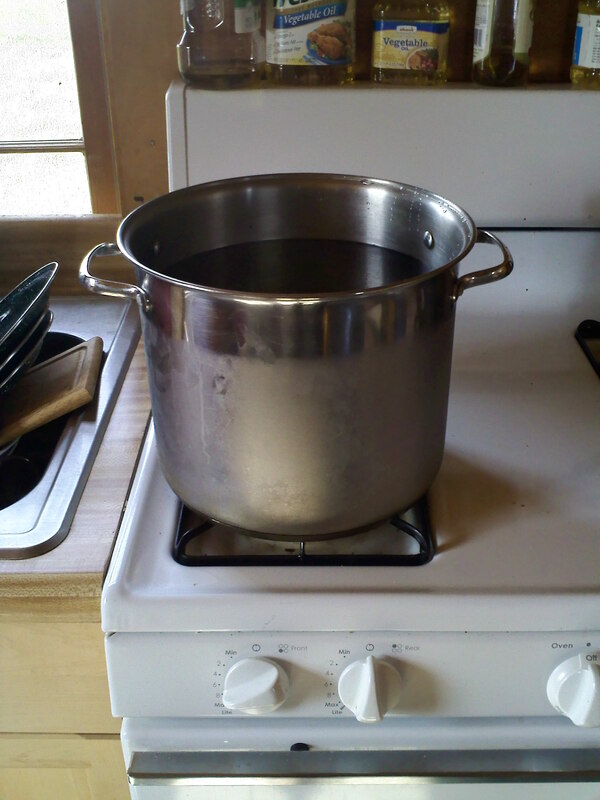 Step four- pour boiling water into two tubs; one for washing and one for rinsing. 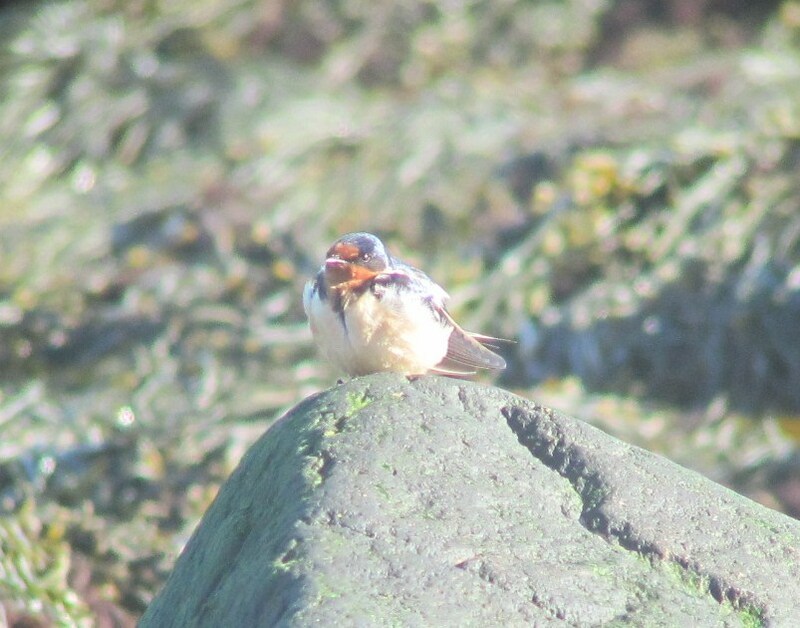 We found our first confirmed nest on Ship Island on Monday evening. The nest contained one egg at the time, but by Tuesday morning another egg was laid. As you can (hopefully) see, Terns don’t build much of a nest – it’s called a scrape for a reason! Their eggs are also very well camouflaged, so it can be difficult to spot them from up in a blind 10 feet in the air. Luckily, we were tipped off when this particular tern chose to stay put when the rest of the colony had taken off as part of a behavior known as dreading. 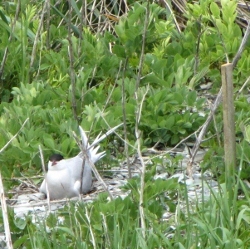 After a few minutes of observation, the tern also stood up and changed position, revealing the egg. In addition to being our first nest of the season, this nest is exciting for another reason: one of the parents is a banded bird. We’ve seen several banded terns along the beach, but we haven’t been able to read the identifying numbers on the band. Now that we know where this particular bird is nesting, we’ve place a stake that can serve as a perch near the nest. With any luck, the banded tern will stand there long enough for us to read the numbers off the band. for a Common Tern is 2-3 eggs. These eggs will be incubated for a little over 3 weeks before chicks start to hatch. ore. In a few weeks, we might have as many as 150, but four is pretty exciting right now! 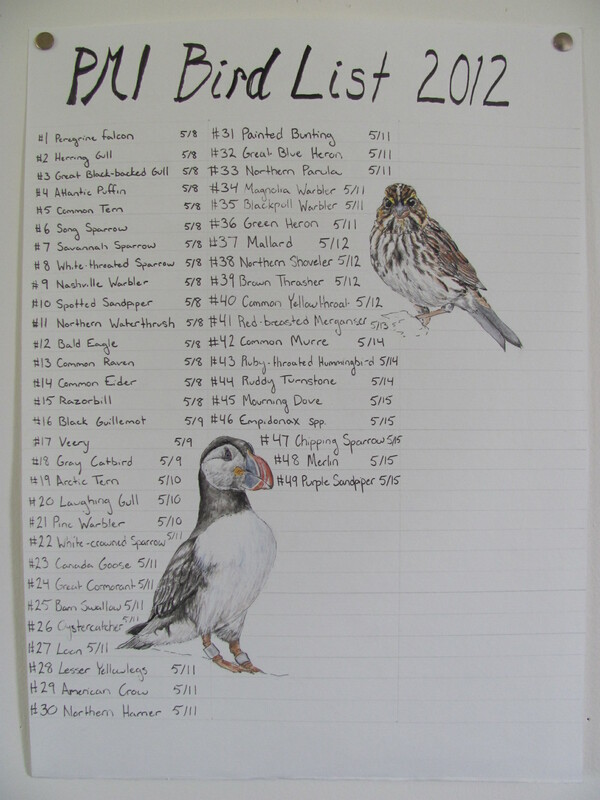 The Petit Manan 2012 Bird List! Starting the day we arrived on the island, we have been keeping track of all the bird species that we’ve seen. In just over two weeks, our list has exceeded 50 different bird species! The majority of them are migrants—birds that are passing through on their way to their summer homes.Offshore islands provide valuable stopover points for migrating birds to rest and refuel during their long journeys to or from breeding grounds. Oftentimes birds also get blown off course by foul weather and will spend several days on PMI waiting out storms, high winds, or fog. Migration season is a fun and exciting time of year because it is possible to observe birds that might otherwise be difficult to spot (like the Brown Thrasher), birds that are outside their normal habitats (like the Red-Breasted Nuthatch), and birds flocking together during their travels that would not normally be in close association (like the White-throated and Chipping Sparrows). Red-breasted Nuthatches (right) are normally found in coniferous forests… on an island devoid of trees, our lighthouse sufficed for this little guy! 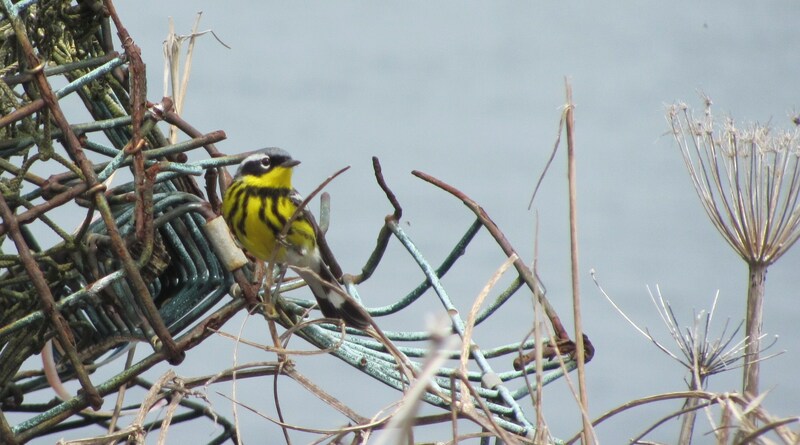 Don’t let us make you think that PMI gets all the cool birds—keep an eye out on the mainland, even in your own backyard, for colorful and interesting migrants! 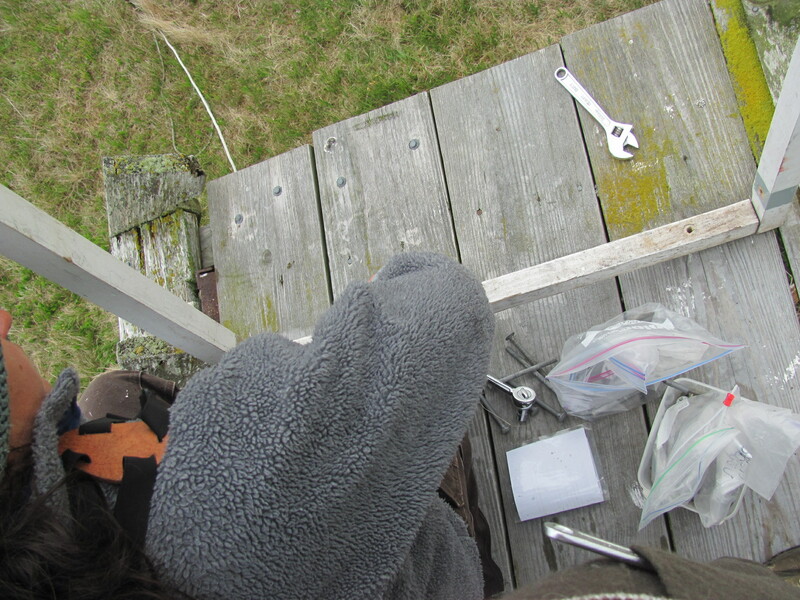 On Tuesday we finished setting up the last of our six bird blinds on the island. A blind is a structure that is designed so that you can see birds, but they can’t see you. 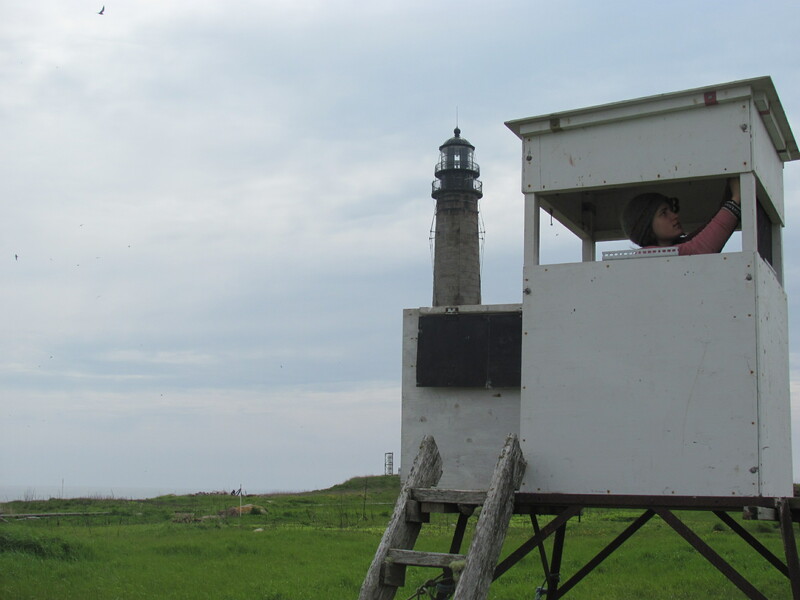 Our blinds are raised 6-10 feet off the ground so that we have a higher vantage point from which we can observe the seabirds on the island without disturbing them or altering their behaviors. 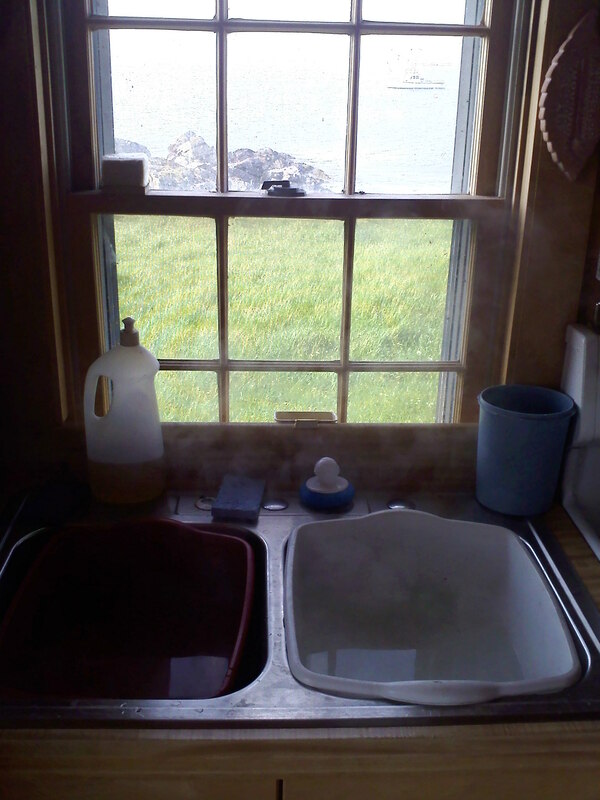 Once inside the box-shaped structures, we can open small windows and peer out. As long as we only have one window open at a time, from the birds’ perspective the inside of the blind is dark and they can’t tell that we’re spying on them! 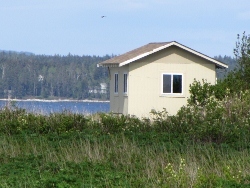 Collectively, the PMI crew will spend hundreds of hours in these blinds over the summer, gathering valuable data about the birds on Petit Manan—from predation to productivity and from feeding to fledging. Keep checking back as we share our discoveries throughout the season!